One of the settings in my book is Victoria Park (Auckland, New Zealand) during World War II. 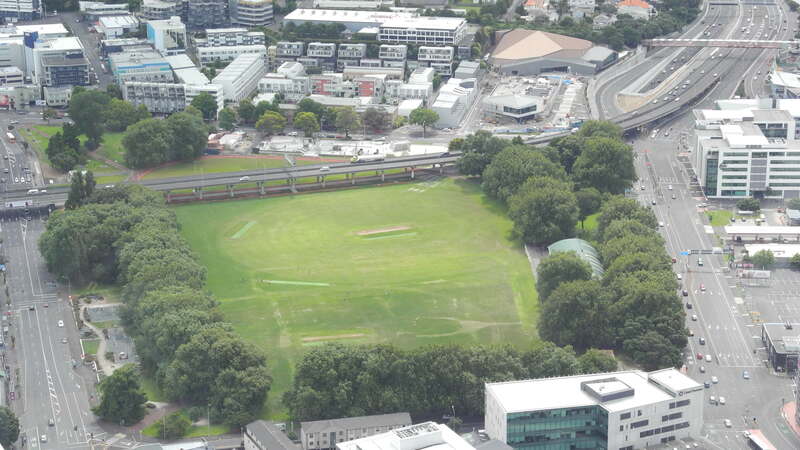 Now a peaceful green-space for Aucklanders to enjoy, back in 1942 it was developed for the U.S. Marines who had arrived to protect us from a possible Japanese invasion (and for R & R after the terror of Pacific battles e.g. Guadalcanal). Towards the end of the U.S. presence in New Zealand (most U.S troops had departed by mid-1944), the camp was taken over by the U.S. Army. 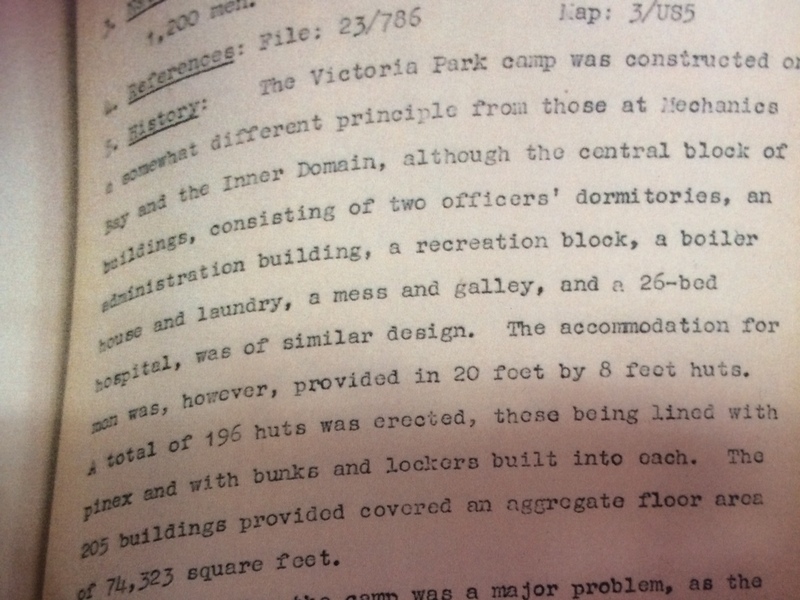 As far as my research has uncovered, there is very little detail or recollections about the Victoria Park camp, apart from the Ministry of Works information kept at the Auckland Museum. Nicholas Edlin’s novel The Widow’s Daughter (read my review here) is set around the camp at that time. 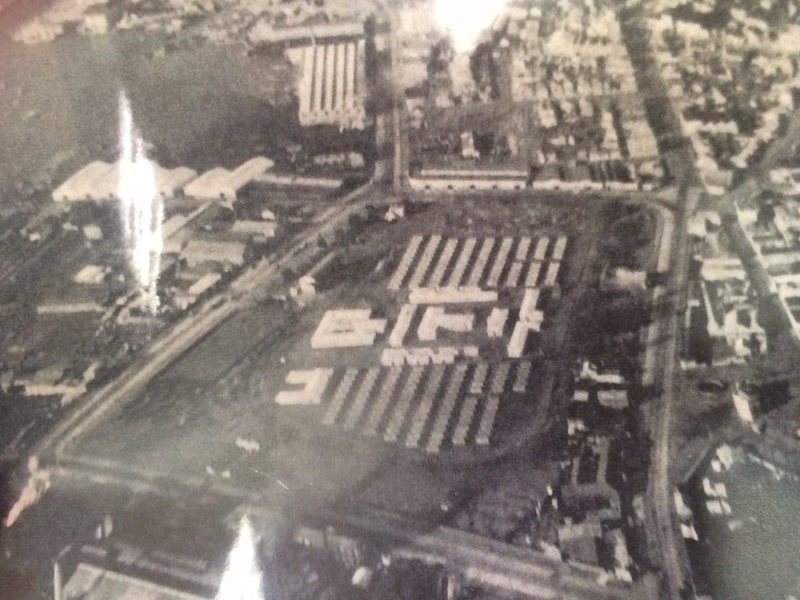 If anyone reading this has more information about Victoria Park Camp during WWII please contact me or leave a comment below. Plain pinex huts fan outwards from the camp’s central block: nine perfectly spaced ribs across aggregate lungs. Thousands of cubic meters of scoria are entombed beneath its tar sealed skin. The council dug the drain twenty feet too deep; the American soldiers rising and retiring with the perpetual throb of pumps performing an insufficient transfusion. Despite the groundwork, when the soldiers march to and fro between the stand of plane trees that mask the municipal incinerator’s red brick chimney (but not its cadaverous smell), to the cricket pavilion on the southern boundary, they unfailingly return to camp with filthy boots. On the 15th Apr arrived Auckland, New Zealand. On disembarking the men of M.A.G. 14 set up a rest encampment at Victoria Park near downtown Auckland. These Marines had just fought on Guadalcanal and were in need for much rest and re-cooperation. They arrived in the worn out cotton fatigue battle uniforms (unlike the Marines shown later in photos arriving for training). This was a very relaxed camp where little duties were assigned. Roll calls, breakfast and then a second meal around 3:30 p.m. After that they were free to leave until midnight. Three day passes were given often. Most men spent the three days in town. C.W. had a buddy named Mike (I believe his name was Michael Kakish). This man was older and was sergeant over the camp upkeep. When Mike and C.W. went to town Mike rented a room for them to crash in after an all night drinking in town. One night Mike came by the room to get C.W. to go in to town but C.W. was having a severe Malaria attack. Mike had to help C.W. to the camp sick bay at Victoria Park. On 29 May 1943 he was then sent to a building there in town used as U.S. Naval Mobile Hospital No.4. where it was reported to them he had been having fever and chills for the past five days. On 31 May he was again with 103 degree fever. He was treated and through-out June and July was doing well and returned to his unit’s encampment at Victoria Park. He had lost much weight that his battle fatigue clothing hung loosely on him. When outside the camp children on the street would pull on his clothes and laugh at how poorly it looked. On 21 Aug 1943 he had violent chills and 103 degree fever and went to sick bay, who transferred him to the mobile hospital. It was recommended at that time that be transferred to the states for treatment And on 4 Oct 1943 he left New Zealand aboard the luxury liner “New Amsterdam”. Sorry that I left out…….the story was told by my father Pvt. Charles “C.W.” Lyon , U.S.M.C. 1st Marine Division , 14th Marine Air group who had just arrived from many months of battle on Guadalcanal. They were much unlike the others who were fresh troops arriving for training. The group my dad was in were a rag tag worn out battle weary bunch who needed time to recover. The camp originally had no enclosure around it. Women walked into and out of the camp freely. This was soon stopped with a guarded fence put up around Victoria Park. The above story is of my dad’s time there from April to October 1943. Do you know when the Victoria camp was established by US advance personnel prior to arrival of forces in June 19422? Thanks Laura. I’ve been meaning to go for so long (mother help on school trip doesn’t count). Do you remember where the exhibition is, and is it temp or permanent? I think it’s called “While you were away” and it wasn’t too long ago that I was there.